Clear the container by going to Action > Clear, and click “Yes” to proceed. Restart the container and check the app to verify it’s running the latest build. This appears to happen more frequently with copiers and other devices scanning to SMB shares, where a scanned document does not appear in the folder for several minutes for the end-users, however on the server-side it appears instantly. 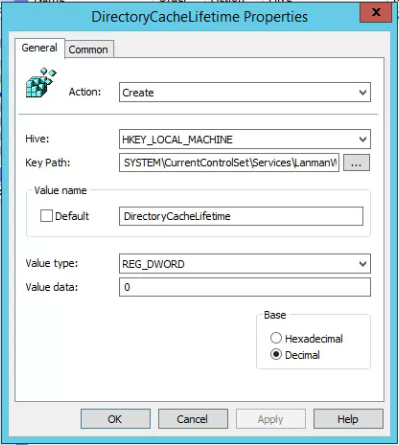 Browse to the registry key below on the workstation, create a new DWORD value called DirectoryCacheLifetime and give it a value of decimal 0. 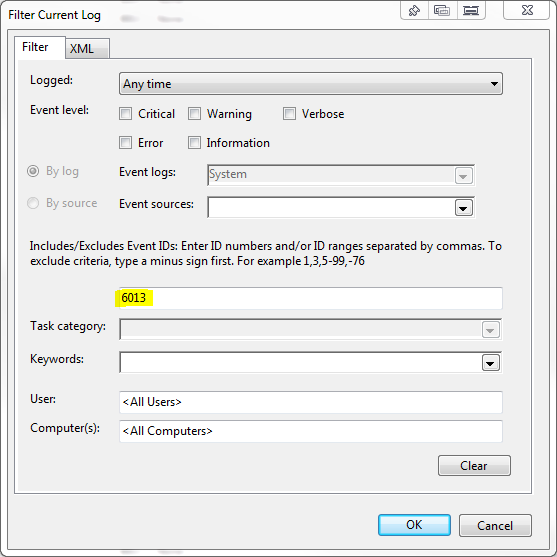 Open Event Viewer, select the System log and choose Filter Current Log… in the Actions pane on the right. 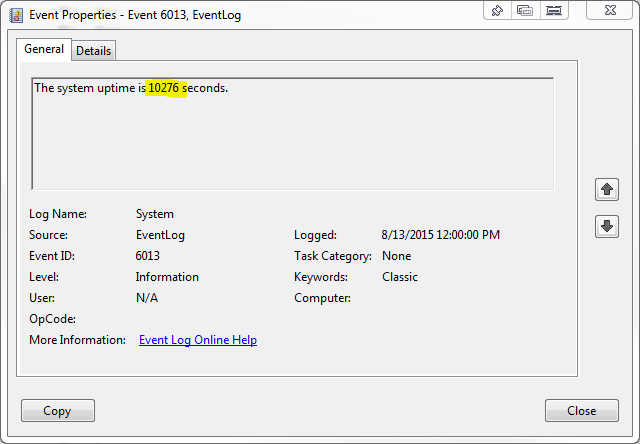 Type in 6013 in the Includes/Excludes Event IDs field and click OK.
Open any of the events and divide the value given in the details pane by 3600 to convert seconds into days of uptime. 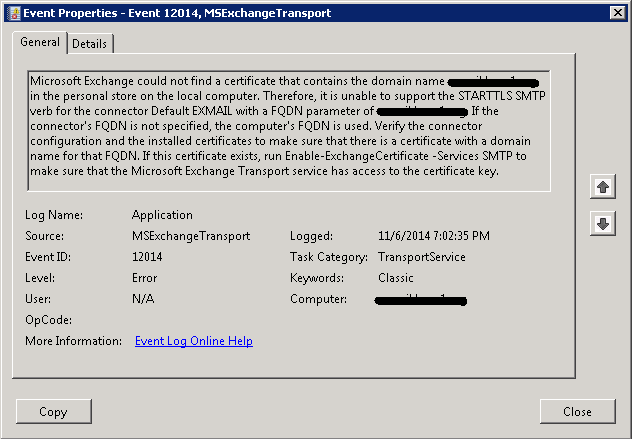 The error message states a certificate for the server’s internal FQDN, rather than the mail.example.com as listed on the certificate, could not be found. Since the “Default SERVER” receive connector’s EHLO name can’t be changed from the actual FQDN of the server to the external name to match the certificate, the problem likely stemmed from when the default self-signed certificate was deleted in lieu of the new valid UCC one. 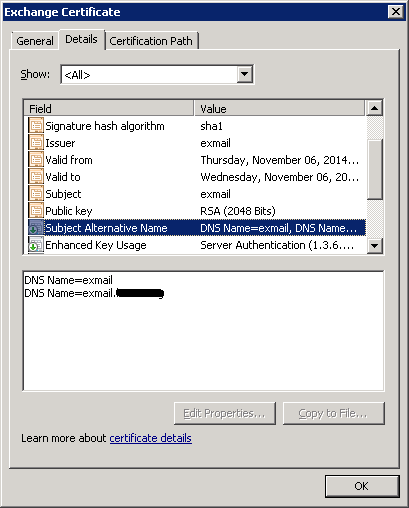 Press “n” to skip overwriting the existing default SMTP certificate when prompted. A new self-signed certificate will be recreated with both the hostname and internal FQDN of the server. Mail started being delivered securely via TLS encryption and the event log errors ceased. Moral of the story is don’t delete the default self-signed certificate when installing your valid certificate! If you have a SonicWALL configured with LDAP + single sign on and content filtering, you may run into an issue where a server is not able to get out to Windows Update. Using the SonicWALL Directory Connector diagnostic tool, a check on the server’s IP came back with a locally logged on user, specifically “Acronis Agent User” rather than the domain administrator account that was currently logged in. 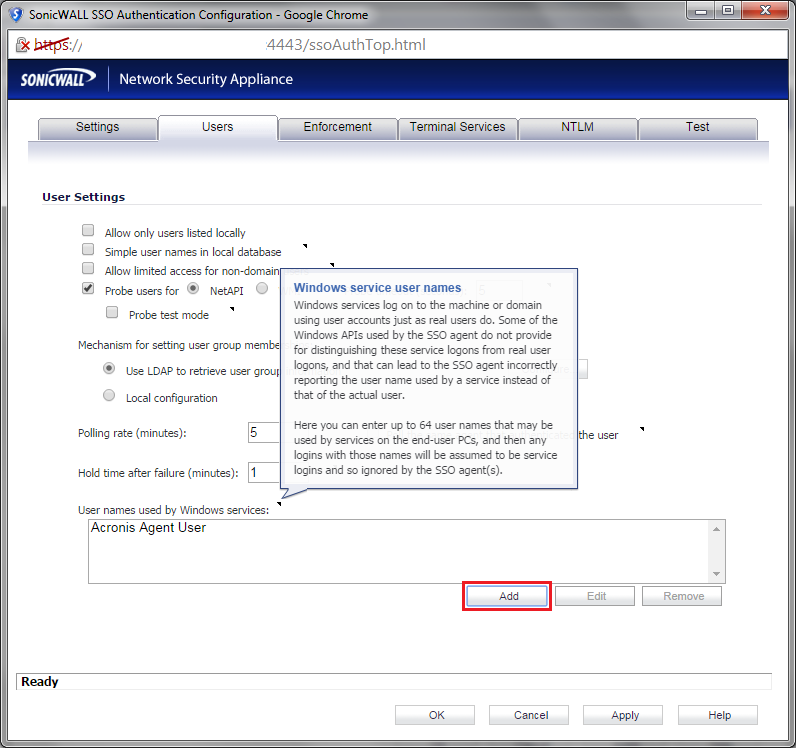 This local user name was keyed into the SonicWALL’s SSO config under “User names used by Windows services”, which then allowed the Windows Update agent to successfully connect out. The following scripts and utilities will streamline the automation of pushing out Windows Updates to several machines at once without an internet connection using WSUS Offline. 1. Download PsTools and extract to X:\PsTools on your server. 3. Run X:\wsusoffline\UpdateGenerator.exe, select your Windows and Office Updates and click Start to generate the update folder. This will take several minutes depending on the selections you’ve made. 4. Share the wsusoffline folder as \\SERVER\wsusoffline. 5. Create the RunUpdate.bat initiation script using the command below and save it to the server’s desktop. The -d switch tells psexec to not wait for the client to return from the script. This allows you to update multiple machines at once, rather than one at a time. The -i switch tells psexec to run the script interactively, or in other words, on the current user’s desktop, allowing you to monitor the progress of the update.bat script run (below). The update.bat file is the script the workstations will run to connect to the server and call the wsusoffline updater script. 6. Create the update script that the target computers to update will run. 7. Run the script from the server to start the update. 8. The clients will run update.bat and begin automatically installing updates, then reboot upon completion. 9. Run the RunUpdate.bat script on the server after each update and reboot cycle to fully patch the target workstations, as it will do certain updates in batches. SonicWALL’s SSL-VPN 200 remote access appliances have worked flawlessly for years for a number of clients until recently we started seeing a rash of lockups. At first a power cycle was all it took to get them back up and running, but shortly afterwards they would not stay online more than a few seconds, before becoming unresponsive to all but a ping. "License Manager Peer Identity failed - Check certs and time." "The License Manager server or the signature database server may not have a valid SSL Certificate." I know SonicWALL is requiring some firmware upgrades on currently supported devices that resolves some certificate warnings, so I figured the SSL-VPN 200 was calling home and locking up during its bootup routine. Why not disallow it from calling home? Save the new host, reconnect to your production network and enjoy!